Christian Lundblad’s research spans asset pricing, investment management, and international finance, with a specialization in emerging market development. He teaches courses on macroeconomics for managers, investment management, including mutual and hedge fund analysis, and global financial markets, including emerging market finance and development. 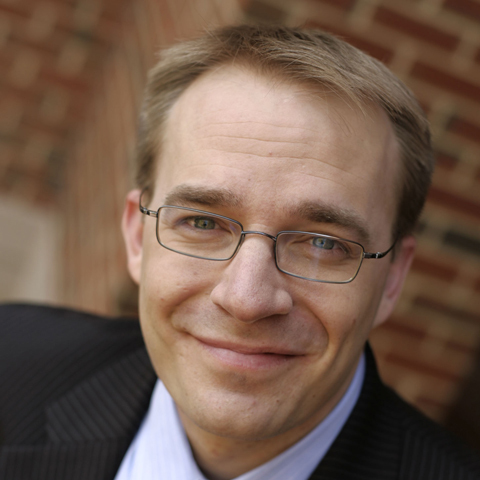 Dr. Lundblad serves as associate dean of the PhD Program, director of research at the Frank Hawkins Kenan Institute of Private Enterprise and director of the Center for Excellence in Investment Management. He holds a courtesy appointment as a special-term professor at the People’s Bank of China School of Finance, Tsinghua University in Beijing. His research has been published in top academic journals such as the Journal of Finance, Review of Financial Studies and Journal of Financial Economics. He is associate editor at the Journal of Banking and Finance and Financial Management and previously served as an associate editor for the Journal of Finance. He also served as a financial economist at the Federal Reserve Board in Washington, D.C., where he advised the Board of Governors on international financial market developments. Dr. Lundblad is the recipient of the Executive MBA and OneMBA Teaching Excellence awards. He received a PhD in financial economics and a master’s degree in economics from Duke University. He earned his BA in economics and English literature with highest honors from Washington University in St. Louis. A growing body of research examines the implications of common holdings for asset price determination; however, far less is known about the impact of hedge fund ownership concentration on risk and return. Yet, hedge fund positions are an important component of the degree of crowdedness because these investment vehicles tend to be particularly active in their pursuit of out performance, they often take highly concentrated positions, and they utilize leverage and short sales. Using a large database of U.S. equity position-level holdings for hedge funds, we measure the degree of security level crowdedness. Using the unique laboratory of university endowments, we study the effects of expertise and networks on investment performance. We examine the trading behavior of particularly aggressive investors, those who contribute the most to daily trading volume, and provide new evidence that is consistent with the presence of informational advantages.